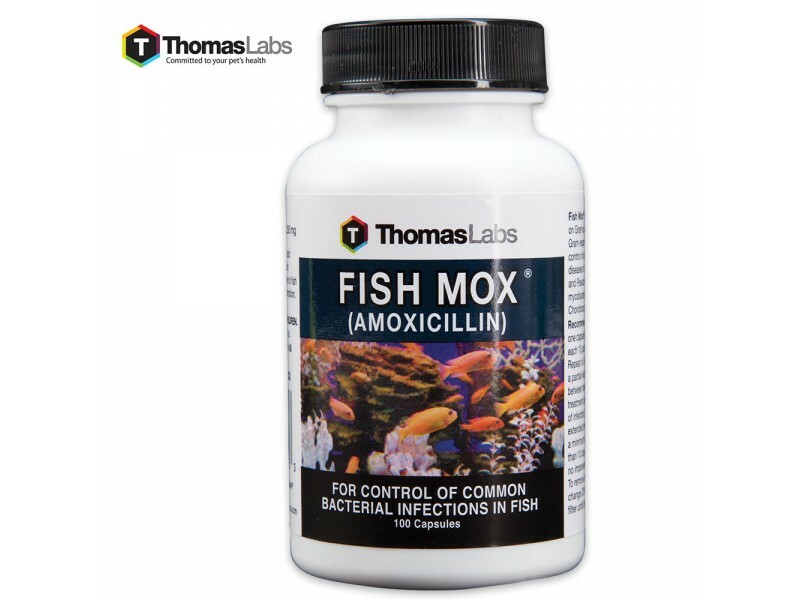 Fish Mox Amoxicillin exerts bactericidal action on gram positive and some gram negative bacteria. It’s a broad spectrum antibiotic that is used to halt the multiplication of bacteria. It will control some common bacterial fish diseases including Dropsy, Fin Rot, Red Pest, Aeromonas and Pseudomonas genera and Mysobacterial Group (gill diseases, Condrococcus). Fish Mox is for aquarium and ornamental fish only and, even though the same USP grade is given to it, it is not labelled for human consumption. Not to be given to fish intended for food use. 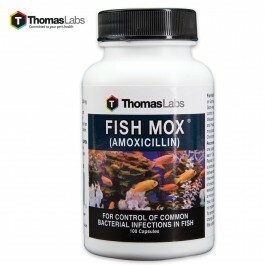 Fish Mox Amoxicillin exerts bactericidal action on gram positive and some gram negative bacteria. It’s a broad spectrum antibiotic that is used to halt the multiplication of bacteria. It will control some common bacterial fish diseases including Dropsy, Fin Rot, Red Pest, Aeromonas and Pseudomonas genera and Mysobacterial Group (gill diseases, Condrococcus). Fish Mox is for aquarium and ornamental fish only and, even though the same USP grade is given to it, it is not labeled for human consumption. Not to be given to fish intended for food use.